I was at the NYPL Central Library going through old issues of the Roosevelt House Bulletin this afternoon. They are fascinating glimpses into a New York City and an America that no longer exist. There are also tidbits large and small that shed light on the Birthplace. Often I take what I learn in my digging and work it into posts for the Park Service’s social media platforms. Those linked to the TRB Facebook page will see something in the coming weeks about Gene Tunney visiting the Birthplace in 1940. Just remember that you heard about it here first. My favorite era in the history of the house is the 1920s. For one thing Anna (Bamie) and Corinne were both still alive and leaving their mark on the historic site. It was quite a scramble to raise the funds and to build the house and museum. I am increasingly aware of just how tough the task was. I came across a touching blurb today from one of the 1919 issues of the Roosevelt House Bulletin. 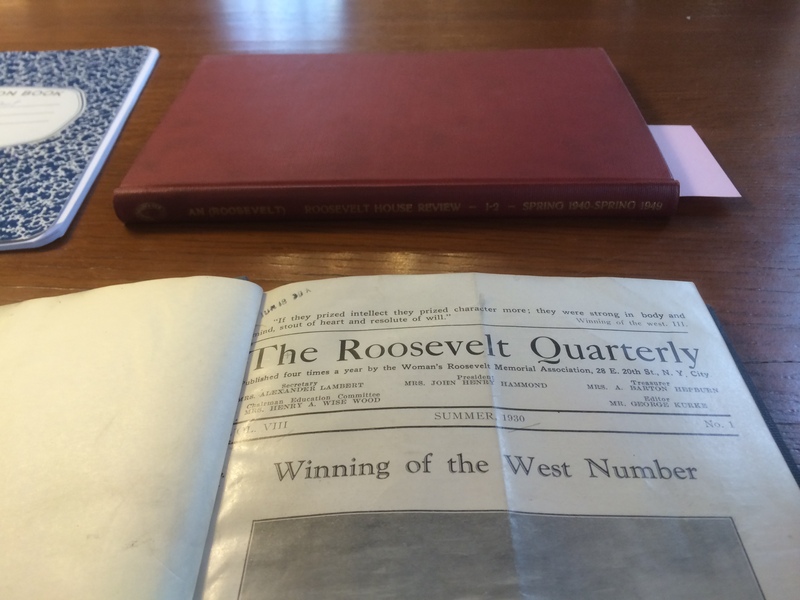 (As you can see in the image above, it was later renamed The Roosevelt Quarterly.) The RMA received a contribution of $1 from a private in the 31st Infantry, American Expeditionary Force. What was so incredible is that the 31st was stationed in Siberia at the time. The Siberian Intervention lasted from 1918-22 after the collapse of the Czarist Empire, the Russian surrender at Brest-Litovsk, and the onset of the Russian Civil War. The Americans and other Allies were there to protect the stores of weapons given to the czar and to prevent those weapons from getting into the hands of the participants in the internal struggle now taking place within Russia. From halfway around the world this young doughboy’s dollar made it all the way to New York City and to the headquarters of the Roosevelt Memorial Association. Barroux is a French illustrator who has a number of children and adult graphic novels to his credit. A few years ago on a cold winter day like today he was walking from the Bastille to the Place de la République when he came across some workers emptying an apartment. The men invited him to take anything he wanted, and being a good artist he stopped to check out what if anything might be of interest. Incredibly there in the detritus were some almost-century-old notebooks written by a poilu during the Great War. The notebooks covered August-September 1914 and proved authentic. This French soldier was in the war for just two months but had an eventful series of episodes. As he describes it, he and his comrades had their “great send off” at 5:00 am on August 5. 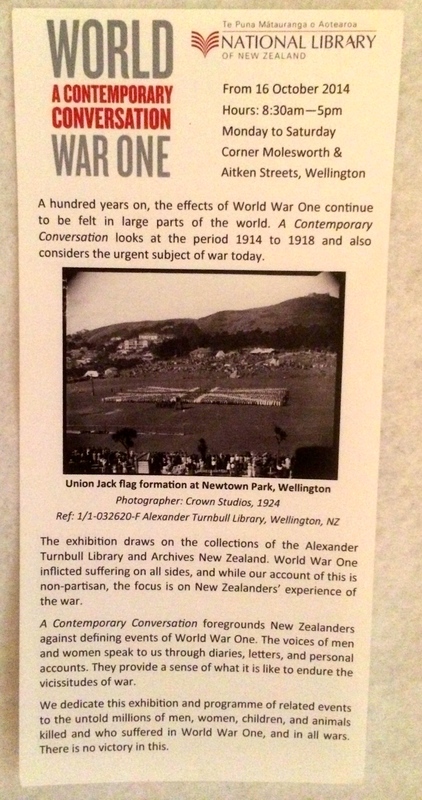 This was very early–the first week–in the war. Frustratingly very little is known of this diarist. We know he was married and that he had a friend named Fernand, and that’s about it. 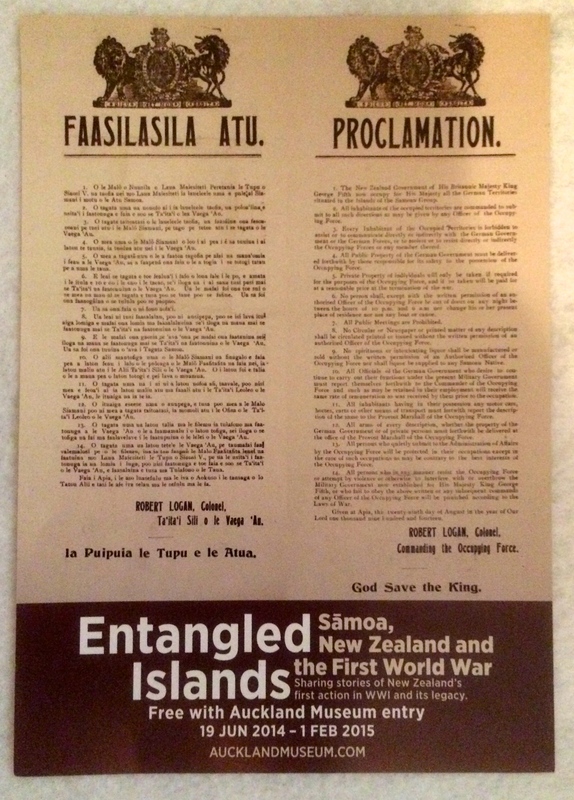 The diary ends on September 12, 1914, but there is extraneous material and ephemera up through 1917. Why he stopped writing in 1914 and what became of him are mysteries that will never be solved. 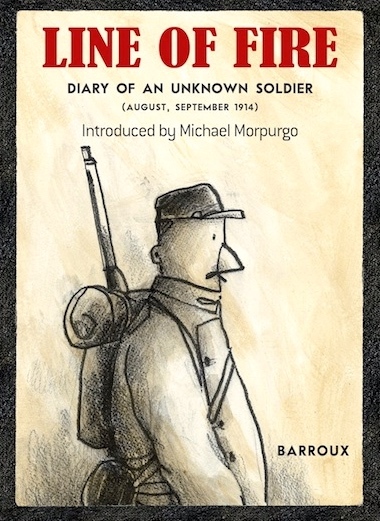 Barroux illustrated the text with bold, dark sketchings that render the journal entries that much more poignant. He clearly did a great deal of work to capture a French society that is now long gone. The beaks drawn as noses offer just the right amount of absurdity to the tale. And of course the whole situation was absurd. How Europe went from peace to suicidal cataclysm in six short weeks is something we will never fully comprehend. I hope more things like things come to light and during the centennial. It seems an opportune time for publishers to take advantage of the public interest. The London Guardian has some excerpts. I was saddened to read the other day of the passing of Clark Terry. The great trumpeter was ninety-four and had been active well into his 10th decade. Just last fall he was the subject of a documentary, Keep On Keepin’ On. That film captures Mr. Terry mentoring a young protege, a role to which Terry was well suited. He was a mentor to many of the leading jazz figures of the day. Pupils included Quincy Jones and Miles Davis. Terry he had an illustrious career in his own right also. Over the decades he worked with Duke Ellington and Frank Sinatra to name two. Terry was born in 1920. To put this in perspective: this was one year after the Harlem Hellfighters returned from France. James Reese Europe, the leader of the 369th Regimental Band that had done so much to bring jazz across the Atlantic during the Great War, died just a few months after the Hellfighters returned to the United States. During the Second World War Terry himself would play in a military jazz band, just as Europe and his men had done during the First. Terry went through basic training in Waukegan, Illinois, the site north of Chicago on Lake Michigan reserved for the training of African-American troops. He then played in bands on bases throughout the country. After the war Terry settled in New York and was part of the jazz scene. He joined what one might call the African-American expatriate community in Corona, Queens. Corona in the 1940s-50s was an enclave of detached houses to which many black musicians moved to enjoy a quieter lifestyle away from the nightclubs of the city. Neighbors included Louis Armstrong, Dizzy Gillespie, Ella Fitzgerald, and saxophonist Cannonball Adderley. Here is some hot music for a cold evening. I’m sorry for the lack of posts this past week. The semester is now in full swing and I have been focusing on getting things in order on the work front. I did manage to get to DC over Presidents Day Weekend, where I saw One Life: Grant and Lee: “It is well that war is so terrible. . .” at the National Portrait Gallery. The NPG put together a number of worthwhile exhibitions over the Civil War sesquicentennial. This one concentrated more on the events of the Wilderness Campaign through Appomattox. Focusing on this period was a wise move, and not just because of the sesquicentennial; a few years ago the New-York Historical Society already had a show that focused on the two men’s lives in their entirety. 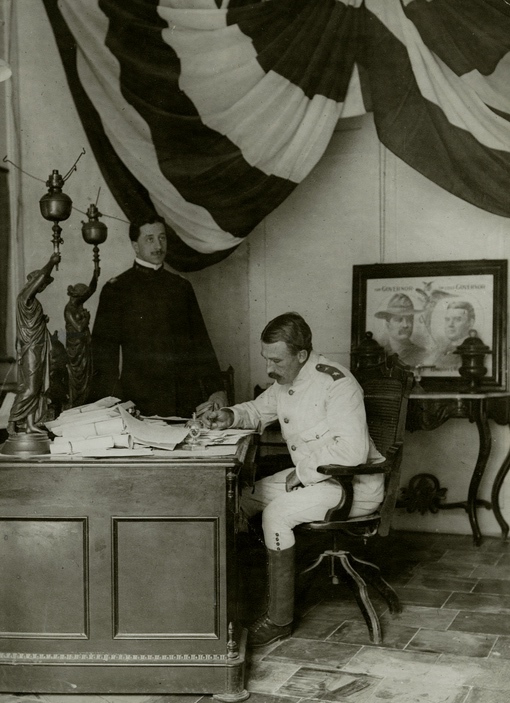 General Wood in his dress whites, Cuba early 1900s. 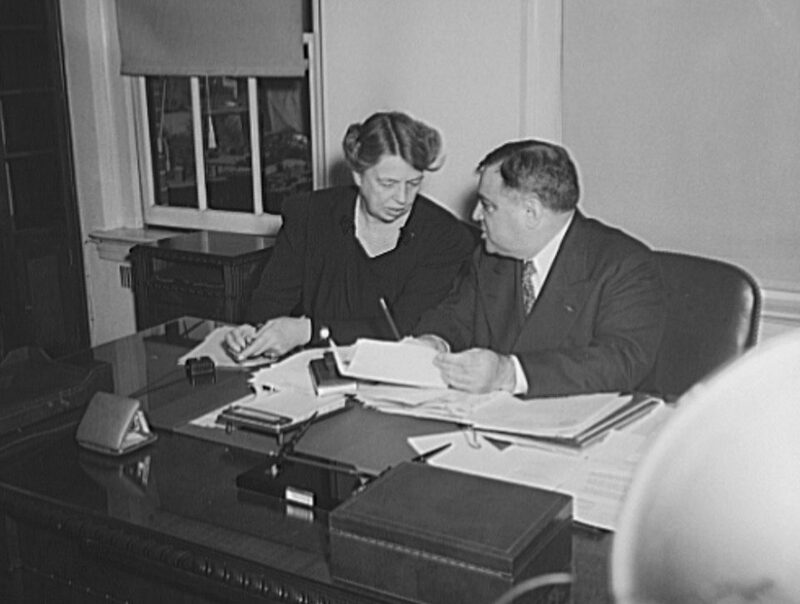 Wood was a longtime friend of the Roosevelt family. If I am not mistaken that is a poster from the 1900 presidential election behind Wood. 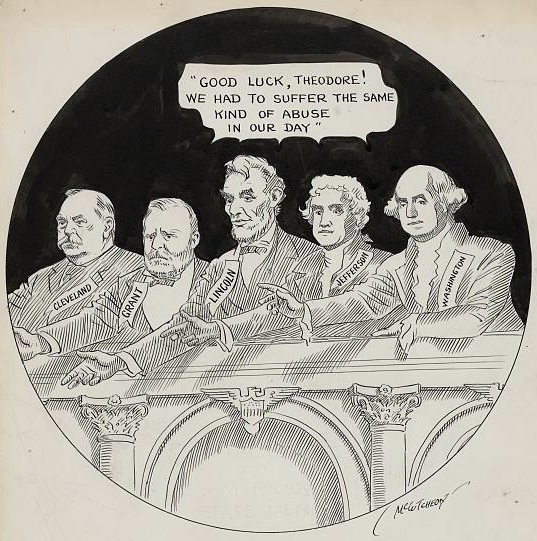 It reads “The Governor and the Governor,” meaning Roosevelt and McKinley. I was doing some work on the Roosevelt Senior project the other day. As I mentioned last week I am fascinated with the provenance of the house itself. One of the unique aspects of the Birthplace was the Roosevelt Medals the RMA awarded each year. They were so serious about this that they awarded the first awards before the house even re-opened. The RMA announced on June 1, 1923 that Henry Fairfield Osborn, Leonard Wood, and Louisa Lee Schuyler would be the inaugural recipients. Things then moved quickly. President Warren G. Harding presided over the ceremony himself in the East Room of the White House on June 15. The Birthplace opened as a historic site on October 27. It is a testimony to how serious the RMA was taking its work. Wood himself was not there in the White House that day. He was attending his duties in the Philippines. It was probably just as well. He had of course made a presidential run in 1920 and lost the Republican nomination to Harding. In my Interp at the Theodore Roosevelt Birthplace one of my central themes is the story of how the house became a historic site. The evolution of 28 East 20th Street under the care of first the Roosevelt Memorial Association, then the Theodore Roosevelt Association, and finally the National Park Service is fascinating. I find that when told the right way people respond to the narrative; it gives them a sense of time and place that they did not have until that moment. Ultimately people visit historic sites for a connection and better understanding of where they themselves fit into the larger picture. My take is not unique. The study of the hows and why of heritage tourism sites has become a cottage industry over the past 12-15 years. The reason I mention all this is because last night I finally began reading Jennifer M. Murray’s On a Great Battlefield: The Making, Management, and Memory of Gettysburg National Military Park, 1933-2013. It had been sitting on my shelf for some months and Lincoln’s birthday seemed as good a day as any to dive in. As its subtitle indicates the book focuses on the period when the site came under the management of the National Park Service. In the introductory chapter she provides background on the battlefield’s first eighty years, when it was under the care of the Gettysburg Battlefield Memorial Association and the War Department. What struck my eye was that the Congressional legislation authorizing the transfer from the GBMA to the War Department was approved on February 11, 1895. That was 120 years ago this week. As many of you probably know, Dan Sickles, the American Scoundrel himself, led the charge to transfer the battlefield to the War Department. I have been doing a little digging but have not been able to figure out if the legislation coincided with nearness to Lincoln’s birthday intentionally or not. In 1895 American would have been aware of the significance of February 12. (My current place of work may be the only place in America where one still gets Lincoln’s Birthday as a holiday.) Sickles was not the only Civil War veteran in the Capitol. The Senate had no less than thirty-five members who were veterans of the War of the Rebellion. Note that there were only forty-four states at the time. That’s forty percent. There were sizable numbers of Civil War veterans in the House as well. Placing Gettysburg under the auspices of the War Department could not have come at a better time. The Spanish-American War was just three years off. The Great War began less than two decades later. 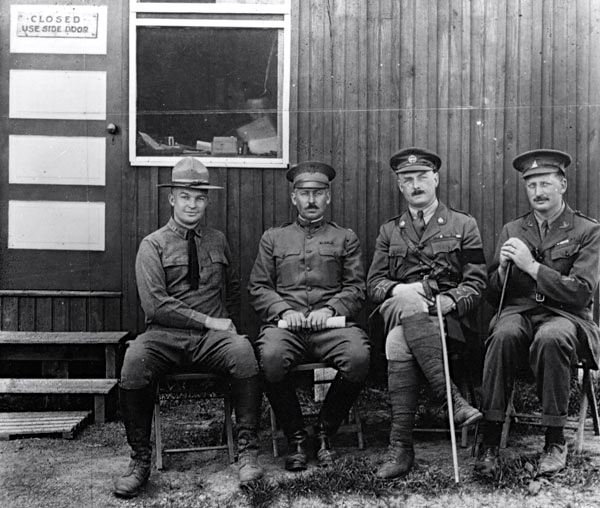 Prior to American involvement in the First World War, Army Chief of Staff Leonard Wood used Gettysburg for the first of the Preparedness camps. In 1918 Eisenhower ran his tank school at Camp Colt on the site of Pickett’s Charge. Ike wanted nothing more than to go to France. It was his misfortune to be so good at his job that the higher brass would not send him overseas. Nothing concerned Dan Sickles more than the legacy of Dan Sickles. Still, it is difficult to imagine how Gettysburg would look today, or how our military would study the military craft, without these living laboratories that are our Civil War battlefields. Last night for the second evening in a row I watched the ESPN 30 for 30 documentary Of Miracles and Men. The film recounts the history and aftermath of the 1980 Olympic hockey match between the United States and the Soviet Union from the Soviet players’ perspective. It is an especially moving film and one that you can watch online at least for the time being. Because I grew up in South Florida hockey was never much on my radar. I do vividly remember the game though, including some incidents that many people forgot or never knew. First of all, as ESPN anchor Bob Ley reminds us in a tie-in, the game was not live on American television. It was shown on tape delay a few hours later. Also—and I don’t recall the film mentioning this—the underdog Americans did not beat the powerful Soviets for the gold medal. The Olympic hockey tournament at this time was a round robin contest in which each of the teams that made the medal round played each other once. The US-USSR game was the penultimate match. If the Americans had lost to Finland in the final game and the Soviets defeated the Swedes by a certain margin the United States would not have medaled in the tournament. Think about it. This is the second of two documentaries about Soviet hockey that have been released in the past several weeks. I still have yet to see Red Army, which has been playing at festivals and on big screens in some cities. From what I understand that film too uses Slava Fetisov as its main protagonist. I don’t know much about Fetisov—again, I grew up far removed from hockey—but in this film he comes across as thoughtful and courageous. He had to be; Fetisov was one of the first players from the Soviet national team to play in the NHL. The generals and politicians, not to mention coach Viktor Tikhonov, did everything they could to prevent that. Fetisov nonetheless paved the way and eventually won two Stanley Cups with the Detroit Red Wings as part of the Russian Five. The other hero was original Soviet hockey coach Anatoli Tarasov. The Soviets came to power after the First World War and Russian Civil War. When the country emerged as a full-blown superpower in 1945 the Soviet leadership tasked Tarasov to create a hockey program. The thing was, the game had never been played in the USSR. Starting from the ground up, Tarasov built a program based as much on chess and the Russian ballet as it was hockey. He intentionally avoided watching game film from the U.S. and Canada because he wanted to create a program based on his own vision. He succeeded beyond anyone’s wildest imagination and then, for political reasons, it was all cruelly taken away from him in 1972. Tarasov was only fifty-four. 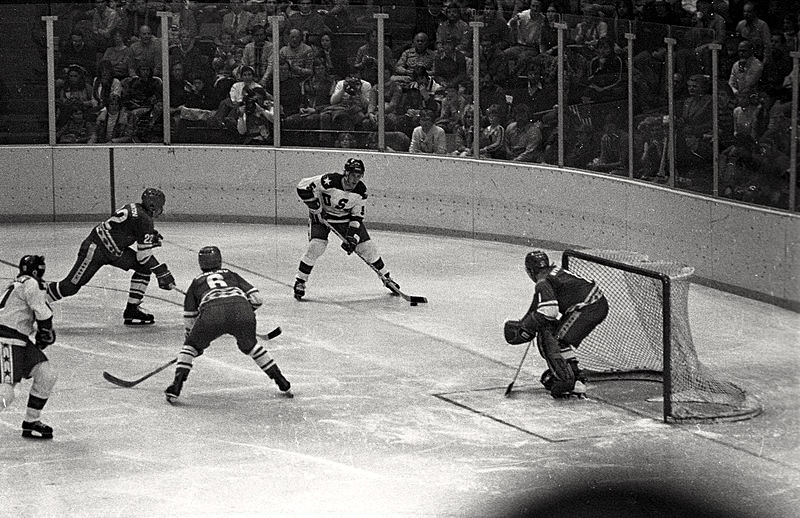 The worst thing that happened to the Soviets—other than that 4-3 loss in Lake Placid—was their 10-3 win over the same American squad in Madison Square Garden just two weeks before. The New York Daily News uploaded the original article a few days ago. The Soviets arrived in upstate New York overconfident. Still things were going well until that match with the Americans. Many still see Coach Tikhonov’s decision to take goalie Vladislav Tretiak out of the USA-USSR medal game as an act of panic and desperation. I always thought it demonstrated his arrogance. Tikhonov believed the whole time that his team would beat the Americans with or without Tretiak. If he could teach the great goalie a lesson at the same time so much the better. Tikhonov’s putting back-up Vladimir Myshkin in the net makes the Seahawks’ decision to pass from the one-yard line look trivial. It is hard to believe the Miracle on Ice was thirty-five years ago. So much has changed in the world since then. These winter days are a good time to look back on that era that now seems so far away. 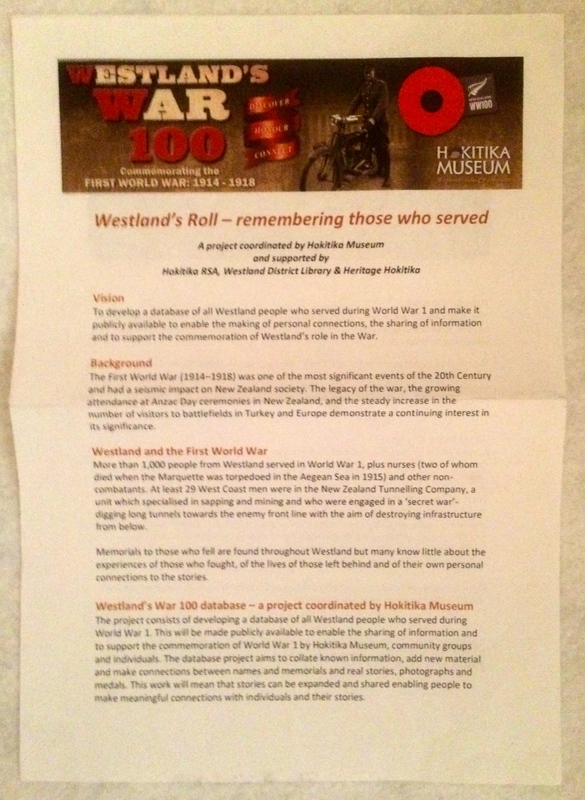 A friend returned from an extended trip to Australia and New Zealand and brought back some handouts of places he visited relating to the Great War. 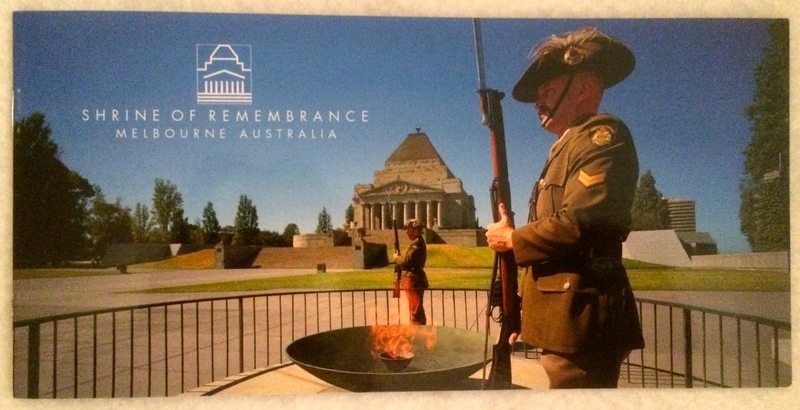 The brochure states that the eternal flame was first lit by Queen Elizabeth II in 1954. 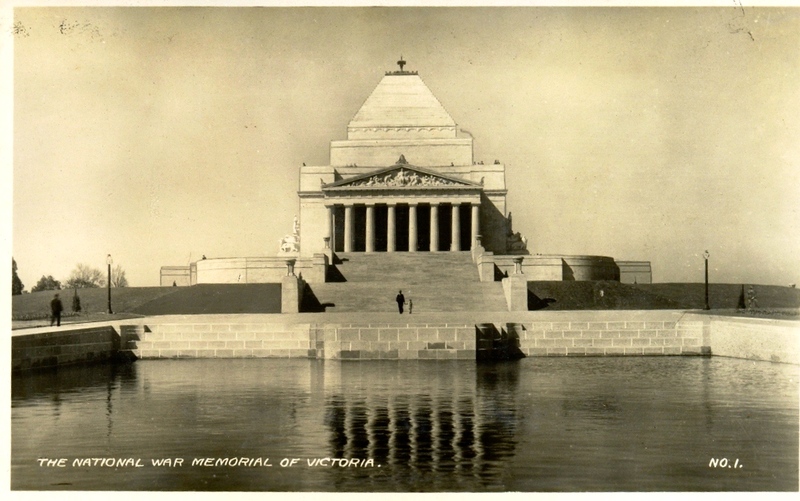 The memorial itself was built in the late 1920s and early 1930s. As you can see, heritage tourism is very much a part of the centennial. 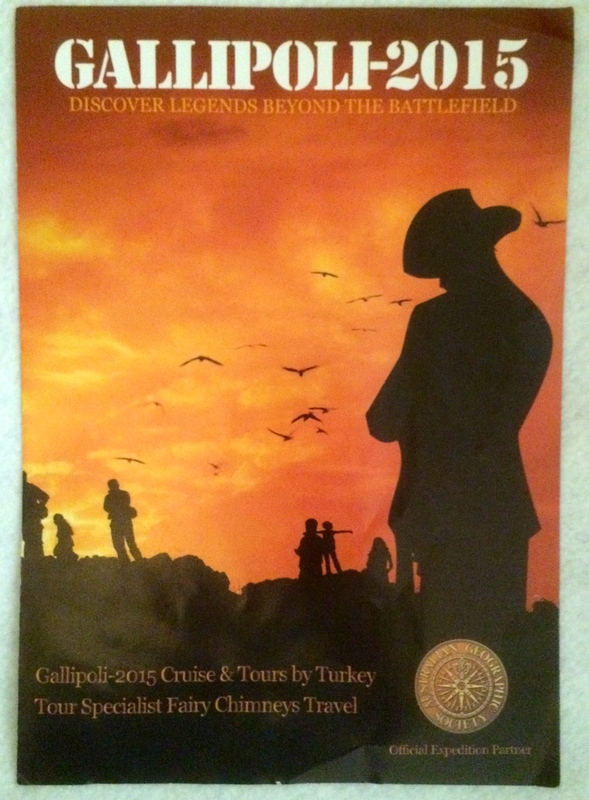 When we think of the Australians and New Zealanders in the Great War, we think automatically of Gallipoli. It is important to remember that they and others from the Dominions fought on the Western Front as well. I have seen my share of them in Flanders. The war did much toward severing the umbilical cord with London and creating modern Australia and New Zealand. 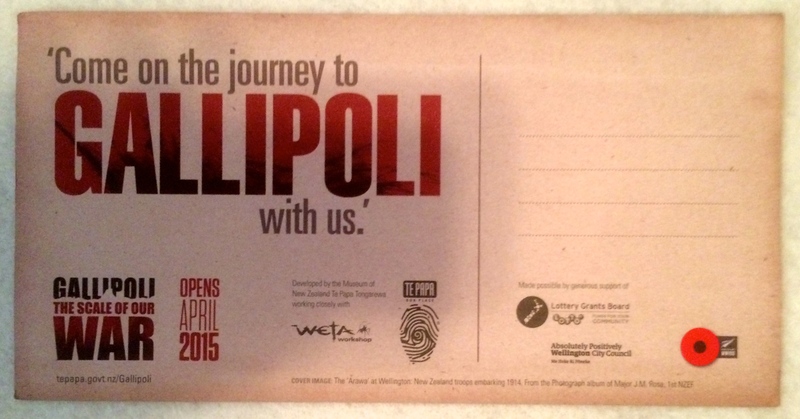 It is fascinating how the war penetrated the tiniest corners of the world and touched the lives of millions. Unlike during the 50th and even 75th anniversary of the Great War, there are no longer living survivors to tell their tale. The events of 1914-18 now belong to the next generations.